There are some things in the world of electronics that are just confusing to people, though they are actually simple underneath. The decibel is one of them. If you’re into electronics you probably have heard the term decibel or dB thrown around. Even if you’re not an electronics enthusiast at all, you may have heard the term used in situations dealing with sound. 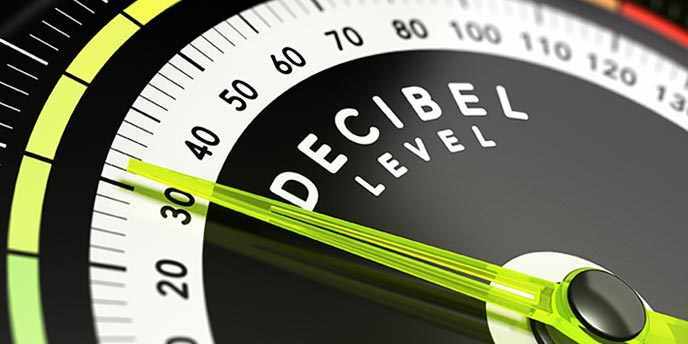 Understanding the decibel (or dB) is important for any aspiring electronics geek. Decibels show up in amplifier design, filter design, Bode plots, antenna specs and more. Fortunately, the concept of the decibel is relatively simple once you understand it. In fact, this post will probably be shorter than most of the others due to the simplistic nature of this unit. Welcome to C Programming Tutorial three! In the last C programming tutorial, we talked about what a variable is and went over some common variable types, explaining what they’re used for and what their limitations are. We’re still learning the basics of C programming, so this time we’re going to talk about arithmetic and logic. Logic and arithmetic are one of the foundations of any programming language. Some may think the principles and rules on this are obvious and may be tempted to skip this tutorial. I urge you not to skip, especially if you’re new to C programming. While many things about arithmetic and logic may seem obvious and boring, there are some caveats and gotchas. Even if you’re a C programming aficionado, this tutorial can serve as a good review of the basics. Sometimes, gaining more complex knowledge has the tendency to push simple things into the dusty corners of our brains, making us forget the basics and over-complicate things. This time, I want to step away from C programming for a minute and do something a bit different and fun. Stereotypes are woven into the fabric of society, for better or for worse. Luckily for electronics enthusiasts, the stereotypes we get tend to be on the better side of that. This got me thinking about the stereotypes people like us endure (I’m using the word “endure” in a facetious sort of way) and what it means to be an electronics hobbyist or enthusiast. To me, an electronics hobbyist and an electronics enthusiast are the same, so I’ll probably use both interchangeably. After a nice brain-dump, I came up with 10 traits that many electronics geeks have. The first C programming tutorial gave a quick history of the C language. Then, it talked about how high-level instructions get converted to the 1s and 0s a microcontroller can understand. Finally, we went over some good programming practice. In this C programming tutorial, we’re going to talk about one of the core concepts of C, or any programming language for that matter. We’re going to talk about variables. If you have a decent amount of C programming experience you probably know something about variables. You should still read this because, as usual, it will be a good review. If you’re new to C or programming in general, understanding variables is not an option. You need to read this and know this stuff. Of course, it’s hard to know who knows what, so we’ll assume you’re just getting started with C programming. On we march into C programming tutorial 2! 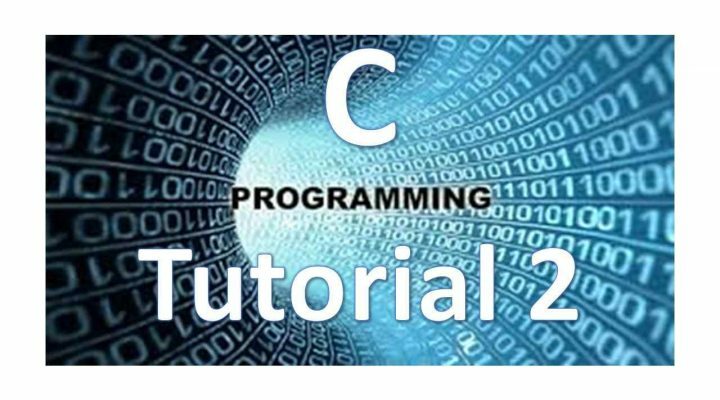 This C programming tutorial will be the first in a series of C tutorials. The posts in this blog thus far cover both the theoretical and the more practical, but until now none covered programming. The C programming language is universal. Some readers may be C programming experts (unlike me). Others may be new or maybe haven’t even written one line of code. This series of posts will assume you’re brand new to C programming (and I’m sure I’ll get to scrape some of the rust off my C skills in the process). Those with C experience may find it makes a good review. If you are new to C, this C programming tutorial is a great place to start. If you’ve worked with PICs or any sort of microcontroller before, there’s a good chance you have some experience in C programming. Arduino sketches are very similar to C, so ditto there. If you’re new to Arduino, microcontrollers, electronics, or programming you may be wondering something like Arduino vs microcontroller – what’s the difference? Just for clarity, we’re referring to a naked or stand-alone microcontroller, such as the one that powers the Arduino Uno. I’ve written about this in the past in Getting Naked: Working With Naked Microcontrollers vs Trainers Like Arduino so I won’t rehash everything here. However, I’ve been getting more into video production lately and decided to make a short video on this topic. Then you need to check out this FREE 4 part video series that helps you program the Arduino quickly and efficiently (Even if you don't know anything about electronics) .